With so many difficult issues confronting girls, it can be overwhelming to know where or how to begin to help. 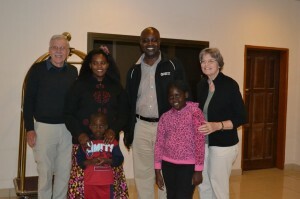 One of the ways our family has responded is by sponsoring children through World Vision. We sponsor a little girl from rural southern Zambia and because of my travels to Zambia with WaterAfrica, I’ve had the privilege of meeting Rute. I first met Rute in 2010 at her family’s home. This 8-year old girl, in a shiny bright green dress, was so delighted with the paper and pens I pulled from my bag that she took them and immediately began writing. Rute has tremendous potential for educational success. As a mother and a teacher and a very proud Sponsor, I resolved to continue providing encouragement and resources to help this dear girl grow into her potential. 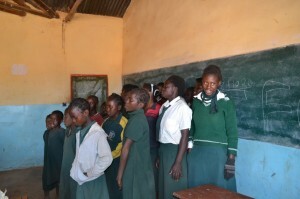 It is well-documented that educating a girl multiplies to the benefit of an entire community. But my trip to Zambia with WaterAfrica last summer illuminated the challenges that inadequate WASH (Water, Sanitation & Hygiene) presents for educating girls. It’s easy to recognize that when women and children spend their time walking to remote locations to collect enough water for their daily use there is little time or energy left for education. But I hadn’t realized that educating girls can be stopped by something so common and universal as menstruation! Joyce Mweemba Sendoi oversees World Vision’s Sanitation and Hygiene programs in Zambia and we asked her about this problem. She explained that the cultural tradition in rural Zambia keeps activities and conversation surrounding a monthly period very private. Even to speak of it is embarrassing. 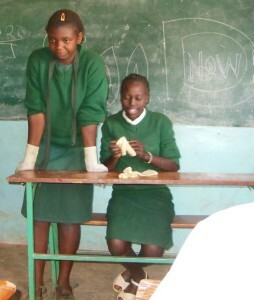 Without discreet supplies and private spaces to manage the details, girls stay away from school during their period. Some girls have the capacity to rise above this challenge and catch up/keep up, but for many girls – missing days of school on a regular basis causes them to fall behind. Eventually they give up and quit. World Vision implements a successful WASH program in Zambia. We’ve talked a lot about how this changes lives – empowering villagers to pursue activities beyond collecting and coping with dirty water, but we haven’t talked much about the Sanitation and Hygiene impact on education. World Vision’s Zambia WASH (ZWASH) program recognizes that establishing adequate latrines and hand-washing facilities at schools is crucial for creating a successful academic environment for all students. Additionally, providing bathing shelters creates important private spaces for girls to manage the details of feminine hygiene. Not only does World Vision’s ZWASH program teach and support villagers as they construct latrines, tip-taps (hand-washing stations) and bathing shelters from locally sourced materials, but it also implements remarkable WASH education and training strategies in the schools. It is a comprehensive, life-changing program. As we mark this first observation of the International Day of the Girl Child, would you join WaterAfrica in supporting World Vision’s WASH work in rural Zambia? A period should mean the end of a sentence, not the end of an education. 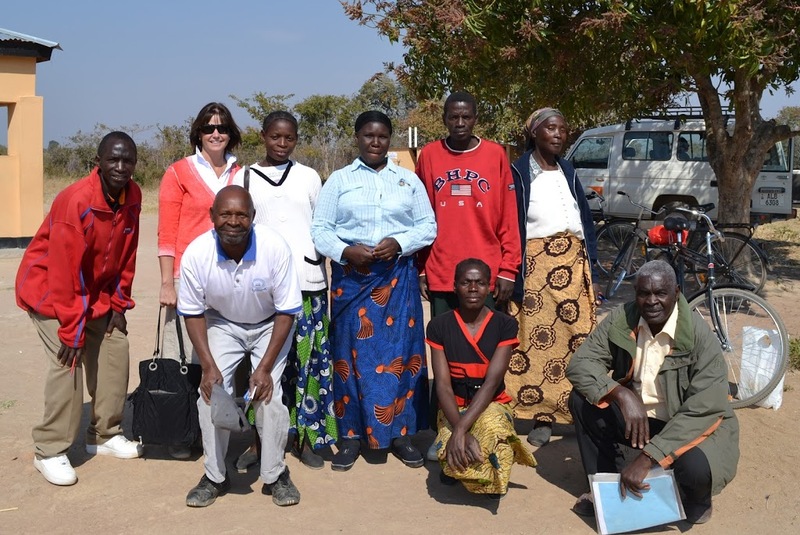 While the WaterAfrica travel team was in Zambia this summer we spent time with key members of World Vision’s ZWASH (Zambia Water, Sanitation & Hygiene) program. 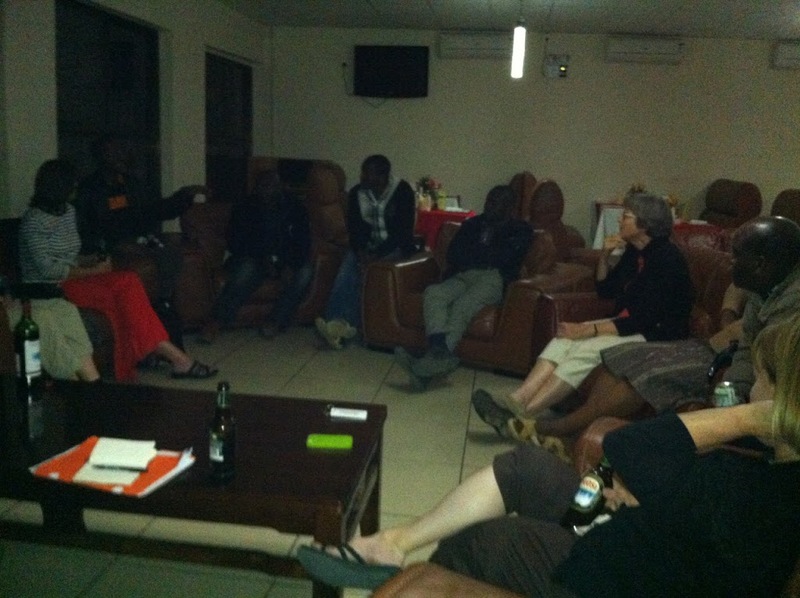 As they shared their time with us they also shared their experiences and insights regarding the ZWASH program. 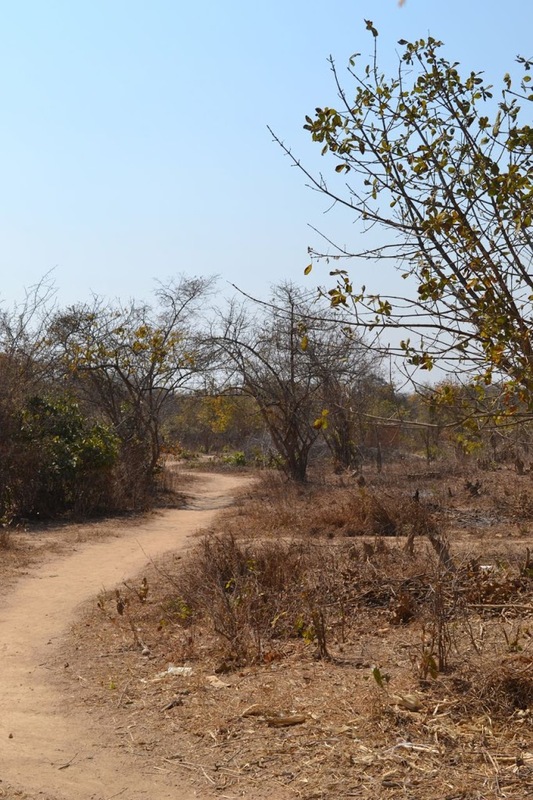 On a long, bumpy ride out to the field one day, Joyce Mweemba Sendoi, who oversees World Vision’s Sanitation and Hygiene programs in Zambia, graciously answered our questions with helpful information and illustrations. 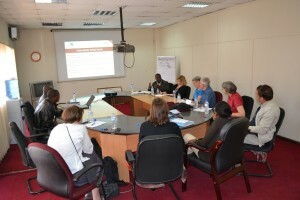 As Joyce described the current approach of the ZWASH program she said, “We are working for sustainability. We need to help the villages prepare so we ensure that the water, when they get it, complements everything. 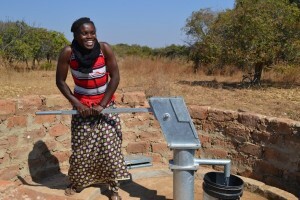 If we find that a community is not ready in terms of what we need before water arrives we won’t drill the borehole.” She further described the ways World Vision comes alongside the community to help them move into water readiness. 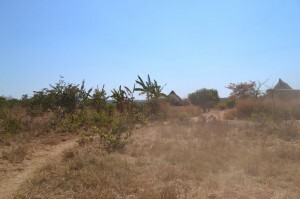 So what does World Vision expect from a village before drilling a borehole? Each household in the village must construct things from locally sourced materials. World Vision magnifies the impact of these elements with effective training programs. Using culturally sensitive, successful methods, the ZWASH team educates and trains villagers to train each other on how to build these elements AND why each element is important. Our WaterAfrica travel team was able to see many of these training programs in action and we got to speak with many community members who were carrying the WASH message to their neighbors. To demonstrate just how effective the training methods are, and how the sanitation and hygiene messages spread among villages, World Vision took us to Hamasunse Village where we saw the WASH message had clearly taken hold even before the Village had been targeted by World Vision’s program. We were impressed by the effective ZWASH training program. It is obviously empowering. These women had not had any direct interaction with World Vision, yet they heard about the Sanitation and Hygiene elements that would make a dramatic difference in their health. They figured out how to implement them with resourceful creativity and determination. There is no doubt when these women get clean Water it will fully complement their Sanitation and Hygiene practices in a way that will be sustainable and spark further life-changing opportunities. The ZWASH program is effective, empowering and sustainable. Your donations are doing much more than providing Water, Sanitation and Hygiene. They are changing the way the villagers see themselves. They now have the power and hope to improve their lives. 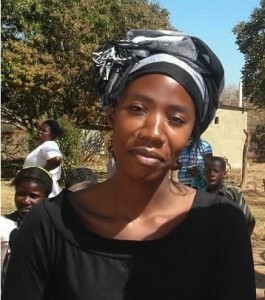 Your donations enable the ZWASH program to continue producing life-changing results. The need is great. World Vision will be drilling water for these women of Hamasunse Village very soon, but many others just like them are still in need. You Can Help Change Lives! Donate Here. Zambia Trip Presentation This Sunday Night! You Walked for Water in April. What impact did the Walk make? 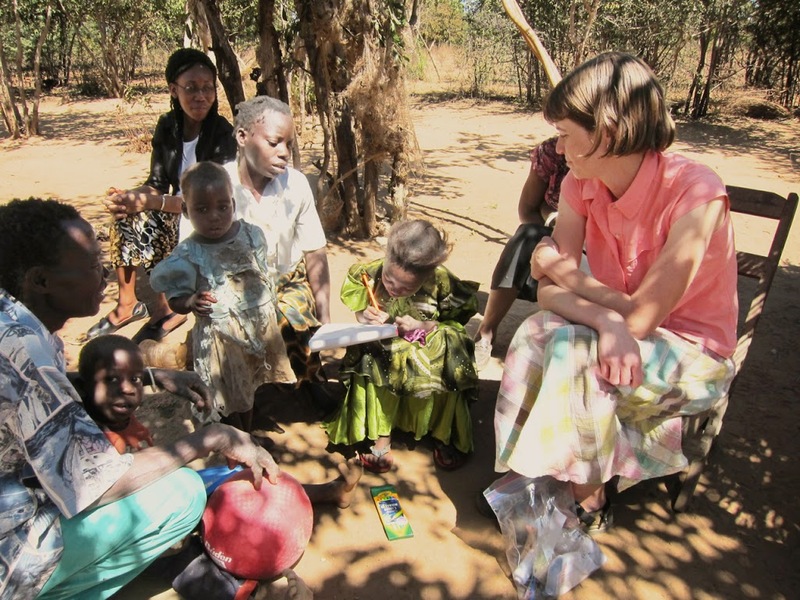 A WaterAfrica team went to Zambia to find out. 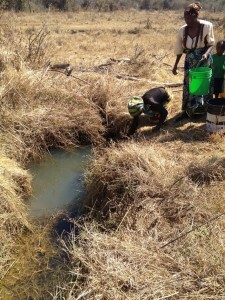 They learned that your donations helped supply water and sanitation, for sure, but did much more. Your donations are empowering the rural Zambians to pull themselves up from a subsistence life to a life filled with hope that they can create a better tomorrow for themselves and their children. 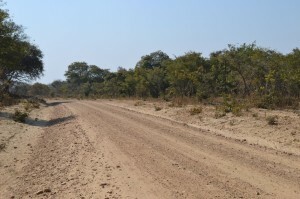 This Sunday the Zambia travel team will report on the dramatic changes they observed. Come see a tip-tap, a bathing shelter, a latrine. Hear about a high-school club that promotes hygiene habits. And much more. Like the WaterAfrica Walk for Water, this is a family-friendly event with information and opportunities for kids and adults! Please join us! Sunday | September 30 | 7-8:00 p.m. 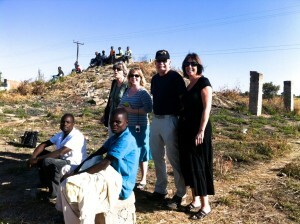 I just returned from my second trip Zambia. 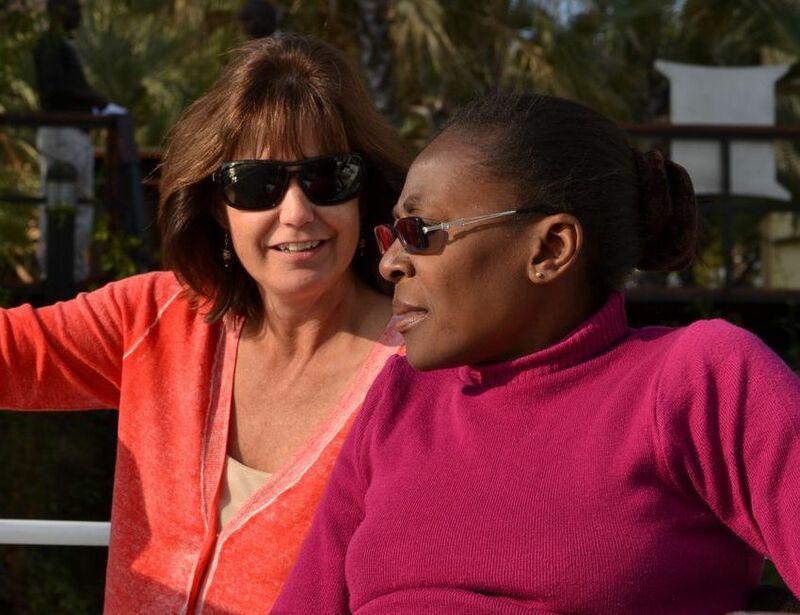 I wore many hats on this trip: World Vision US trip leader and colleague to the World Vision Zambia staff, WaterAfrica Board member, Walk4Water co-chair and excited traveler. Our WaterAfrica group of 6 went to Zambia to see the work that World Vision is doing as a result of funding from our organization. As an excited traveler, the trip was great. We visited Victoria Falls, one of the natural wonders of the world, and we saw some of the most amazing animals and birds just yards away. We walked the streets of the big cities as well as the small towns; we drove on newly improved highways and bumpy dirt roads. We spent a lot of time talking with people and listening to their stories. We talked to school children of all ages, soccer (football) fans, hired drivers, retired civil servants, village headmen and women, people living positively with HIV/AIDS, women who shared about the challenges of raising a family, and some who grew up with relative wealth and access to good education. These were all Zambians and we were there to learn about their lives and about their amazing country. We spent time with World Vision Zambia staff every day and listened as they unfolded the national priorities for World Vision Zambia, the regional strategic plan for ZWASH (Zambia Water, Sanitation and Hygiene) and the details of the local projects and programs in the Hamaundu ADP. 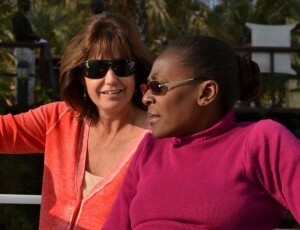 What struck me most throughout the trip was the theme of partnership. 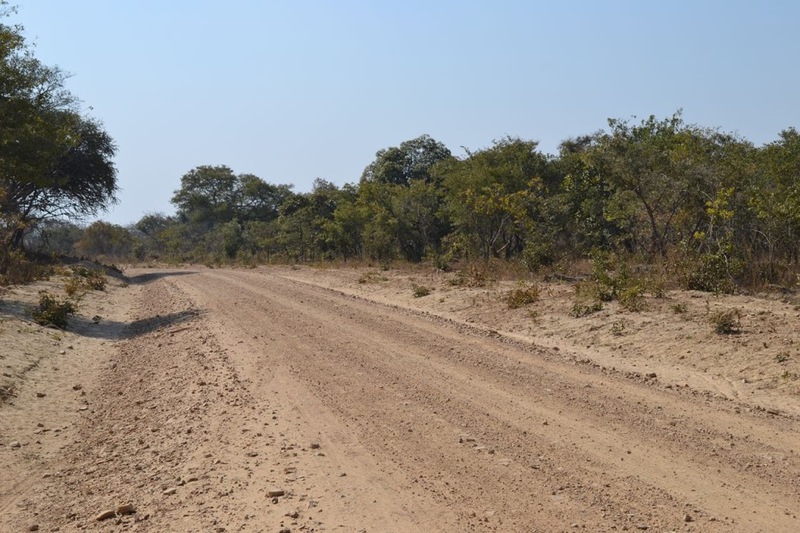 At the national level, World Vision is partnering with the government of Zambia to increase effectiveness across the country and to leverage strengths and resources. 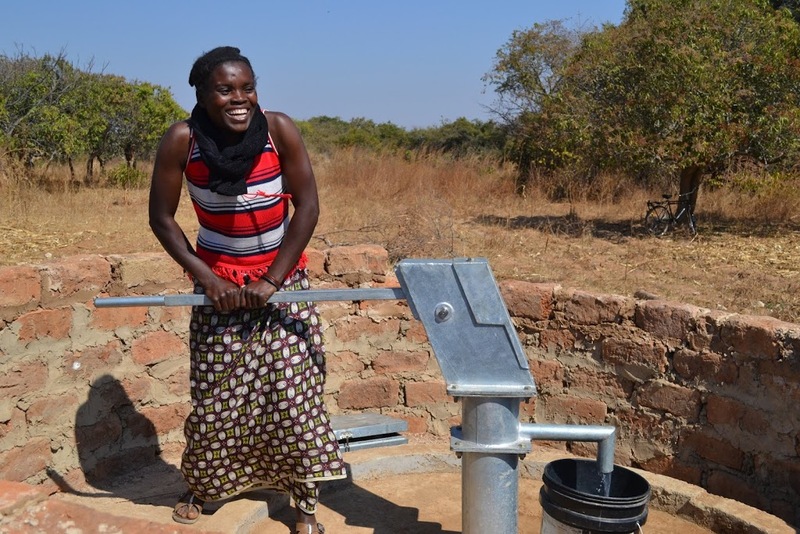 There are now existing partnerships between World Vision and local businesses, such as Zamtel – a cell phone service provider helping to fund the drilling and installation of borehole wells in rural areas. All project strategies at all levels intentionally incorporate partnership with local school administrators, teachers, village elders, village volunteers, children and their families. We never saw an example of a project where World Vision was “doing something for” a village or a group. In every instance there was collaboration, discussion, empowerment and self-sustaining work being done. This takes a long time and much patience and grace is required, but all are obviously up to the task. This theme of partnership naturally lent itself to a secondary theme for me: mutual encouragement. As an organization, WaterAfrica was recognized by the National Office staff as an important partner in helping to bring about sustainable WASH solutions in Zambia. WaterAfrica’s annual Walk4Water fundraiser is well-known there and they are considering a similar event in Lusaka to help make urban Zambians more aware of the lack of access to clean water in more rural areas. As we moved out of the city toward the villages, the high regard for WaterAfrica was a repetitive theme. We saw the hard work being faithfully accomplished by professional, educated and dedicated World Vision staff members who often sacrifice living with their families in order to be closer to the rural poor whom they serve. For me, one of the great joys of making these trips is getting to know the staff. We were able to thank them for what they do every day and to appreciate their gifts and talents as we observed them interacting with each other and with the people we’ve come to love – the rural poor in Zambia. What a privilege and what an honor. It was WORK pulling that full bucket out of the water! 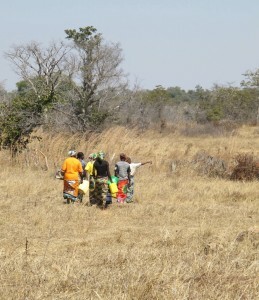 Though these Zambian women carry full 42 pound buckets on their heads, we weren’t allowed to carry a full load. 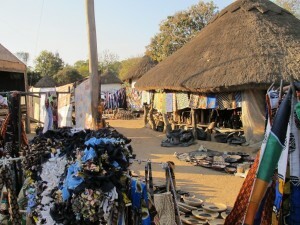 Our short walk back to the trucks gave us just a tiny fraction of insight into the lives of the Zambian women. Ask any of us about the experience and we’ll tell you – It was hard. It was heavy. It was awkward. It was work. And none of us can truly imagine spending our lives in this way. To state the obvious – it’s a terrible way to spend a life. But to further illuminate the gravity of the situation – the water!!!! It’s a shallow hole in the middle of a field. This for drinking. And cooking. And cleaning. The women share this hole with pigs and cattle. One gal (left in picture below) started carrying water when she was 10 years old – girls usually start younger. She’s now 30 years old – She’s been doing this routine every day for 20 years. The beautiful part of this story is that these women now have a borehole with clean, safe water just moments from their homes. They are healthy. They have time. They can think, plan, and work on other projects. They are working on gardens for sustenance and for sale. 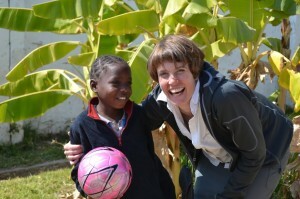 This is the life-changing story that WaterAfrica works for. We traveled halfway around the world to walk alongside these women, but it’s important to note the reasons they decided to drive us to the water instead of walk: 1) they were protecting us because they thought it would be hard, and 2) we had a schedule to keep that day, and they didn’t want to spend our time walking. These women have not had these choices until now. As we drove back from the water source, the women sat in the back of the truck singing about “a love that does not choose.” This put powerful punctuation to our Walk4Water. We were driving back rubbing our heads, wiping off dirt, putting bandages on, etc, and they were singing and rejoicing about God’s love – a humbling lesson in gratitude. As we continue to unpack our trip in these next days, we hope you’ll be encouraged – your donations change lives. **Jetlag+File management complications = blog silence these past few days. But we’re back! And jumpstarting the stories with a Sunday afternoon treat. For a bit of perspective – Out in Hamaundu ADP (World Vision’s Area Development Program) the roads we drove on looked most often like these. We bounced around corners and up and down hills – at times the road narrowed to a single track trail. But our faithful World Vision drivers never failed to turn around the final bend and introduce us to a vibrant community of people eager to share their lives with us. On Monday afternoon we were midway between two villages when our drivers stopped at an “intersection” and people piled in the back of the truck and rode along with us. While they rode they sang. When we took the final turn and arrived at our target village they all piled out. We learned that they are World Vision Hygiene Promoters: an all-volunteer group of community leaders who work to bring sustainable WASH to their villages. They’d met up with us in order to have a meeting with Isaac, Hamaundu ZWASH Coordinator (AKA one of our drivers and trip organizers). We’ll be telling you much more about these remarkable people and their work as we continue to tell our trip stories. But first …. When they got out of the truck at our destination we asked if we could record their singing. They were willing and delighted to “travel to America in Jennifer’s video camera!” So without further ado – The Hygiene Promoters sing 2 numbers. The first is roughly translated to be a song about working together with their children – striving to reach their goals. The second is about preparing yourself and helping me to prepare for the return of Christ. 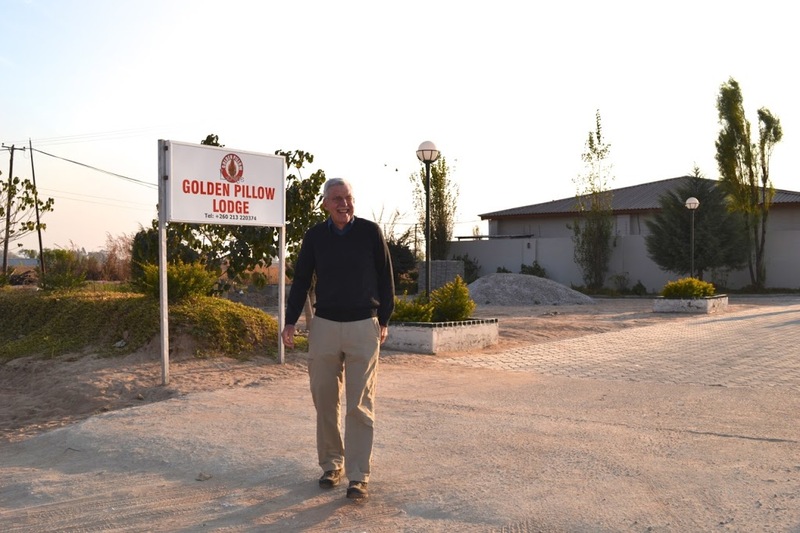 Sunday morning Japhet delivered Beth and Jennifer to the Golden Pillow Lodge for breakfast with the team and then John, World Vision’s Driver who would be our skillful driver and interpreter during our time in the field, picked us up for church. What a blessing to worship cross-culturally! We were warmly received and even recognized some of the people we’d met at this same church during our last WaterAfrica trip. The service was filled with wonderful music led a wide variety of church members, including “two songs by three brothers” using their remarkable homemade guitars. A young lady sitting in front of us passed back a note partway through the music – it was translation for the songs. She continued to do this for us for the rest of the music. We talked to her after the service – her name is Mary. She’s a second year teaching student doing a term of secondary ed student teaching at Jembo High School. She was orphaned as a child and raised by her uncle. We were all impressed by her fluency, self-assuredness and level of education. She said she is married – her husband is also a teacher, but we didn’t meet him. The district superintendent gave the message in English with Tonga translation. There was an awful lot of congregation participation in the service and the speakers usually worked back and forth between the two languages very fluidly. After nearly 4 hours the service ended and we we were ushered out right after the pastor. We shook hands with EVERYONE else as they exited the building. Some of them seemed delighted and practiced their English greetings. Others barely made eye contact. We were like magnets for the kids, particularly after we took a couple pictures. One theme for these early days was to intentionally slow the itinerary a bit in order to observe and partcipate in the every day lives of the people in Choma – a perspective we’ve lacked on previous trips. Because our morning had turned to late-afternoon by the time we got back to the hotel we didn’t have time for our planned visit to the Choma Museum. BUT some of us were delighted to find a soccer game in play just adjacent to the hotel so Beth and Jennifer walked over first and were humored to find themselves the only female soccer fans present. (However, there WAS a female linesman.) Two young men sitting on the edge of the field provided commentary, including the opinion that “both teams are useless.” Bill, Diane and Sharron came to watch later in the game while Ann stayed back to watch birds. Altogether it turned out to be a wonderful Sunday in Zambia. After dinner Fred Mazumba, World Vision’s ADP (Area Development Program) manager in Sinazongwe stopped by with his family. Fred joined us for Walk4Water5 and what fun it was to meet him again in his own country and to greet his wife and children! Also that evening Angela, the Hamaundu ADP manager stopped by briefly. Hamaundu is the ADP that WaterAfrica has partnered with as we follow World Vision’s WASH program in Zambia. Our financial donations go to WASH projects throughout Zambia (ZWASH) but our relationship with Hamanundu allows us a specific connection with an ADP, and a lens through which we can see how WASH is implemented in World Vision’s development work – Much like the way the child sponsorship model connects a sponsor to a child. 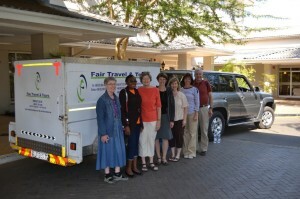 Saturday morning we loaded up and left Lusaka for Choma. We broke the 4 hour drive with a lunch stop at Debonairs in Mazabuka. 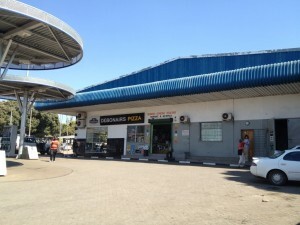 A most interesting combination of gas station, auto repair shop and restaurant! 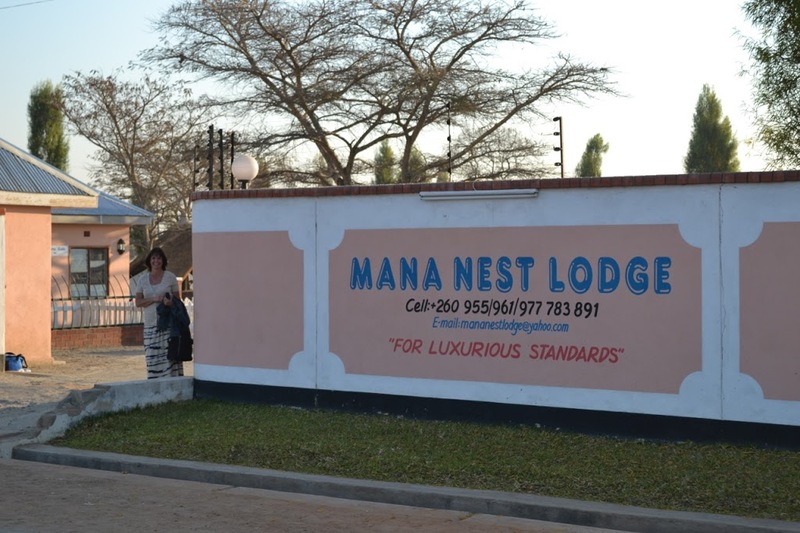 When we arrived in Choma, a city of 47,000, our group was split between two hotels, as expected – there weren’t enough rooms for all of us in one lodge. Our excellent driver, Japhet ferried Beth and Jennifer back and forth from the Mana Nest to the Golden Pillow Lodge where the rest of the group stayed and where we ate dinner each night. 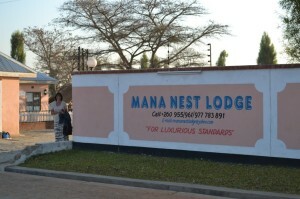 We collected many lodging-related stories during our stay. Saturday afternoon we settled in and some of World Vision’s Hamaundu ADP (Area Development Program) staff joined us for dinner in the evening. It was a wonderful reunion with those we’d met before and we greatly appreciated this open evening to interact with these remarkable friends – new and old – who plan and implement the WASH work which WaterAfrica supports. 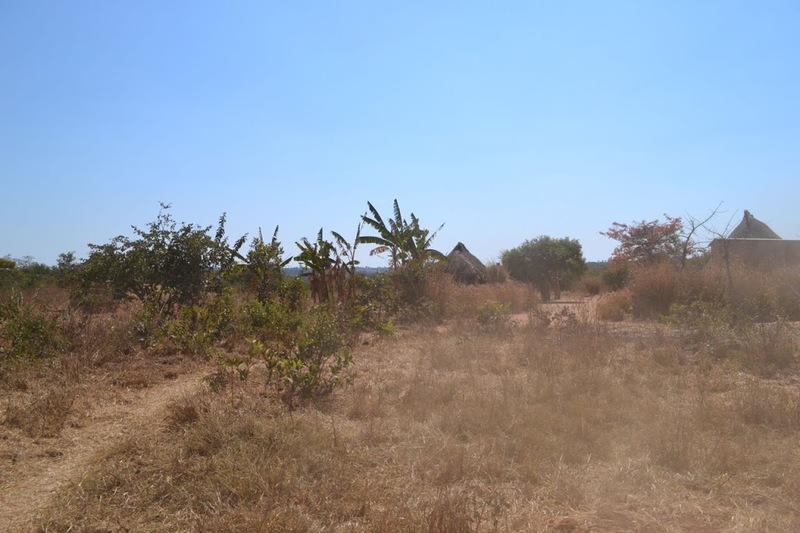 Most of these particular World Vision staff members live in Choma and work primarily in the Hamaundu ADP, which is about an hour’s rough, rural drive from Choma. We met Albert, Sebastian, Isaac, Agnes, John and Samuel – Program Accountants, Driver, Coordinator and Director. This dark picture turns out to be a good representation of the lighting situation. This was the first in what was to be our evening routine of power outages at the hotel – a good reminder that this beautiful country is one of the poorest in the world. We ended the day full of questions and eager anticipation – excited to have met our new friends – these World Vision staff members who’d be sharing their lives and their work with us through the next days. The WaterAfrica Travel Team arrived in Lusaka on two different itineraries and we overlapped briefly with the Lake Grove Presbyterian Church group, which was just completing their trip to World Vision’s Sinazongwe ADP in southern Zambia. It was in this meeting that we first began to hear about what was to become a dominant theme in our conversations and observations: Partnership. 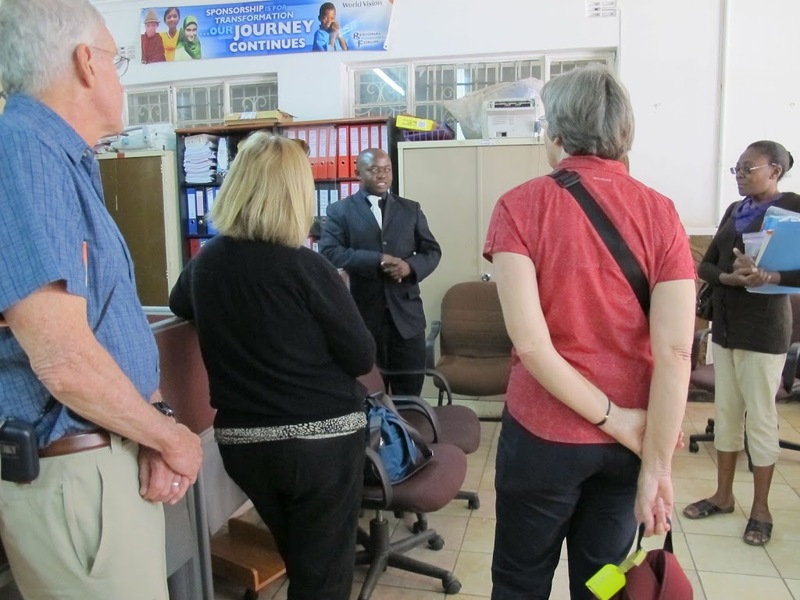 The staff described a variety of contexts and ways they are engaging the Zambian government to share resources and expertise as they pursue community development work together. Another important topic we heard about was World Vision’s increasing engagement of the Zambian urban communities about the needs of rural Zambians. 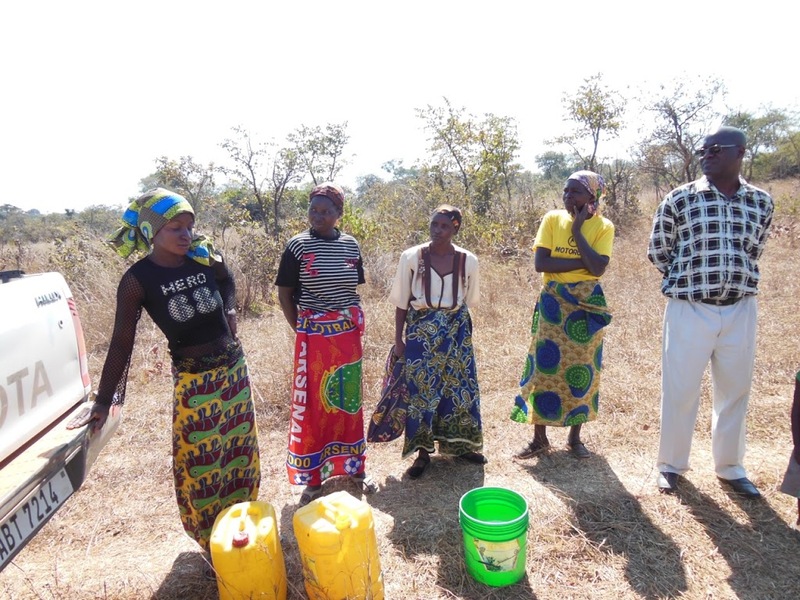 The Staff seemed to enjoy hearing about our annual Walk4Water and commented that they might even explore an activity like that as they raise awareness and money for Zambians to help their fellow Zambians. We offered to return and consult with them!!! When our meeting concluded we gave up our seats to a group of government officials who were meeting with World Vision right after us (it was good punctuation for our conversation about government partnership!! ), and we took a quick detour over to Mike Veitenhan’s office so we could see one of our Walk4Water WaterAfrica Day proclamations hanging outside his door!!! After that we walked over to the Child Sponsorship Office for a brief tour and overview of their work. This is the child sponsorship communication hub for World Vision Zambia and what an impressive operation to document and deliver every communication and child sponsorship gift! Child sponsorship is an excellent way to connect with one specific child and family and through this lens it allows a sponsor to see World Vision’s development work in action. Several of our team members are sponsoring children in the area we would be visiting, and these meetings with our children raised a number of interesting conversations and questions as the week progressed. We had lunch and did a bit of shopping in the afternoon. We’ve been without internet all week and blogging via text began to fail by Wednesday. Stay tuned! The WASH trip is complete and we’re making our way home via various itineraries. We’ll be unpacking our photos and stories very soon!! !